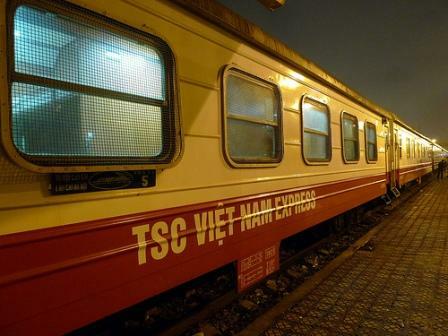 TSC Express Train is one of the most experienced train from Hanoi to Sapa and vice versa. This train has 2 carriages (the 5th and 6th carriage in the SP1 and SP2). Each carriage has 7 cabins 4-berth and the second cabin can be set up to deluxe cabins 2-berth up on request. All carriages, which are wood-paneled inside and decorated with noble wood furniture, include individual reading lights, baggage storage, bottled water, fresh wipes, toothpaste and toothbrushes,. It generates an atmosphere of coziness, glamour and high class to the customers. They are also modernly equipped with superior facilities like in a standard hotel’s room such as LCD TV. 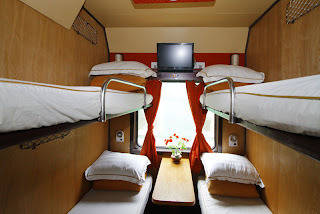 in addition to that, it also has the clean and pure private bathroom cabin at the end of each carriage. TSC Deluxe 2 berths cabin which is special designed for 2 people only provides a private space with the comfort facilities of the wood-paneling cabins. Please email us at sales@asiacharmtours.com to book the train and get the best price!